Community Hero Benefits | World Leader in Materials Research and Development. Community Hero Benefits, is a company that affiliates with licensed professional real estate service providers, loan agents, and associated businesses that offer substantial rebates, discounts and other benefits to Heroes who server in our communities. Our community heroes include military personnal, firefighters and first responders, police and law enforcement, medical and education providers. This program has been instituted to give thanks back to all those who sacrifice in the service of our communities. Services Provided: Real Estate Service Providers, Loan Agents, Insurance Companies, Home Inspections, and Home Warranty Companies. This program was created to reward our community heroes and to thank the men and women who have given so much with their service. Community heros, throughout the western United States, are paired with real estate and other professionals, for real estate savings, discounts and other benefits. 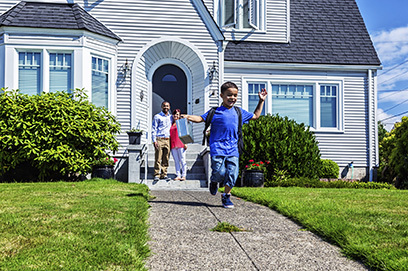 Community hero benefits offers additional discounts that go beyond the home buying and selling experience to help out community Heroes with home-ownership. Teachers give our comminuties the education that will be needed to move forward into the next century. Our police work hard to keep our communities safe and secure. A dangererous job deservers our thanks and support. We are in dept to the medical professionals that keep us healthy and provide medical services in time of need. Fire personell are true community hereos who risk there lives everyday while give life saving services to everyone. Our military heroes risk their lives here and abroad. Let's make sure that those that do come back are taken care of! The program exists to specifically thank our local heroes for their commitment to our communities. We recognize that our heroes sacrifice time away from their families to make our community a better place. Many of our professionals are retired first responders or wives of heroes and can commit to making your home search flexible upon your schedule. Community Hero Benefits is committed to giving back to our heroes who give so much, making our communities a better place. We do this through real discounts, rebates, and savings when buying, selling, or refinancing a home through our many programs.